On the 23rd March 2018, the government announced the introduction of the Caring and Sharing Scheme (‘the Scheme’) to share the fruits of economic success with the community. Eligible applicants may apply to receive a one-off payment of HK$4000. Applications for the one-off payment will be assessed on an individual basis. 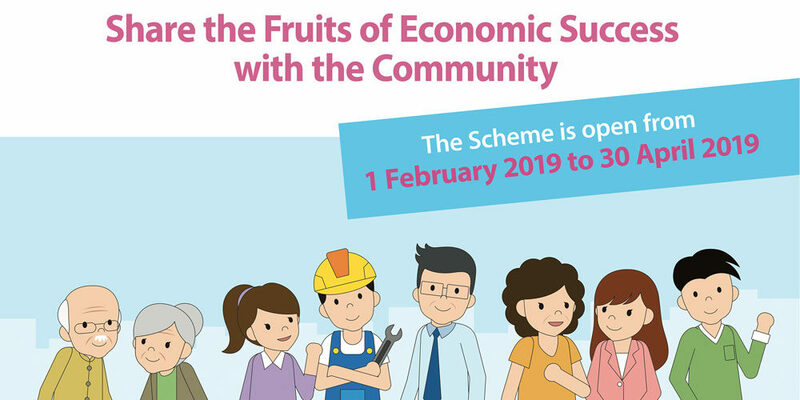 The scheme is open for applications between 1st February and 30th April 2019. To view details regarding the scheme and the eligibility criteria, click HERE. Application forms are available for collection at the CDC. Please feel free to contact the CDC’s Social Work Assistant, Cammy Yeung at 28496138 for further inquiry.